There's no doubt that group fitness is a great way to get motivated, but Tone House takes it to the next level. It's notorious for its grueling classes that would get any athlete to test his limits. M&F's Zack Zeigler took a class with Adrian Williams, head coach and training and recovery program manager, to see if Tone House lives up to the hype. The name of the game is conditioning, and the first step was speed work. Williams had the class do sprints and gallops, and the team aspect encouraged everyone to go hard. Next came an upper body-focused partner ropes workout that hit chest, tris and biceps. Zeigler was dripping sweat even before the alternating rope waves and slams, and class still wasn't over. The final portion was the Circle Drill, a brutal finisher that isn't for the faint-hearted. The class formed a circle and began buzzing their feet. On Williams' call, everyone started doing whatever exercise he decided to throw at them—including high-knees, pushups and burpees. After over a minute, it was finally over. Williams gave Zeigler some valuable advice to master the circle drill. First, don't look around. Just listen to the couch's voice to react as quickly as possible. He also suggests taking a quick breather if you miss a rep due to exhaustion instead of being hard on yourself for it. Body Fortress Super Advanced NOS Blast is a powerful pre-workout that will give you the energy and focus to get through any workout. Caffeine gets you energized while creatine maximizes strength, and you won't find any aspartame, gluten or gimmicks in this product. Want more bodyweight and group fitness workouts to get your summer body on point? 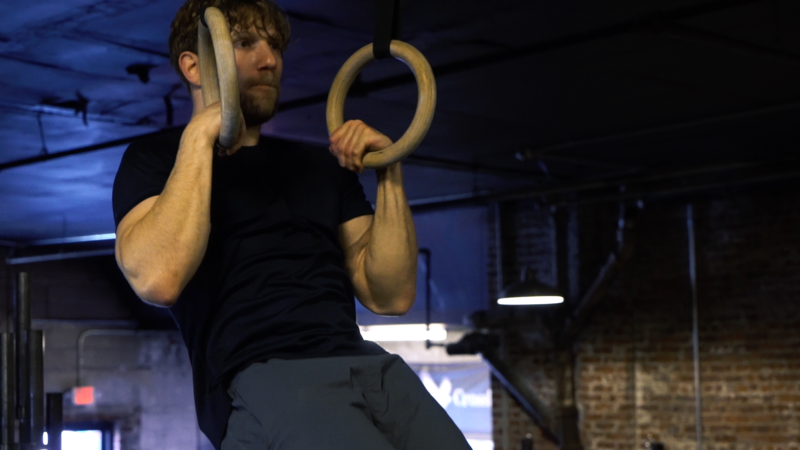 Check out the Ultimate Guide to Bodyweight Training to get started, or incorporate the Five Best Bodyweight Moves into your routine. If you don't think bodyweight workouts fit into a bodybuilding routine, check out the Bodybuilder's Ultimate Bodyweight Routine.